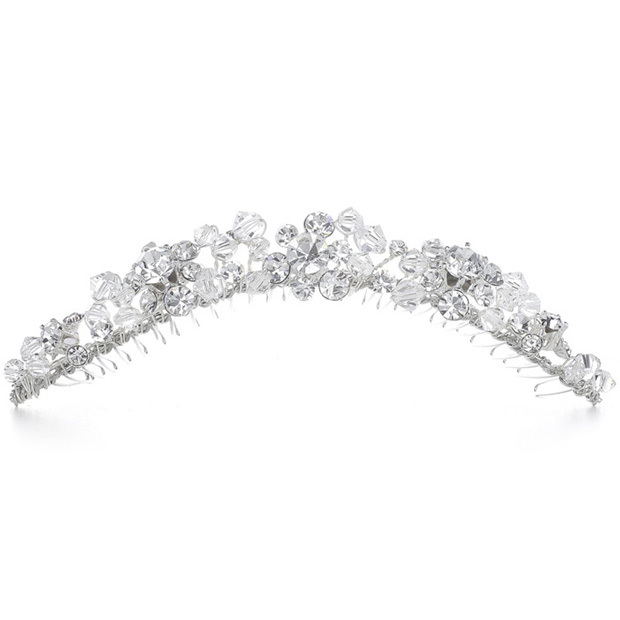 * Mariell's exquisite bridal tiara comb features brilliant clusters of clear rhinestone and genuine Swarovski crystals. * This crystal headpiece will light up your wedding veil with irresistible sparkle. * Our stunning bridal tiara comb measures 4 1/4" w x 3/4" h with a pliable silver comb.